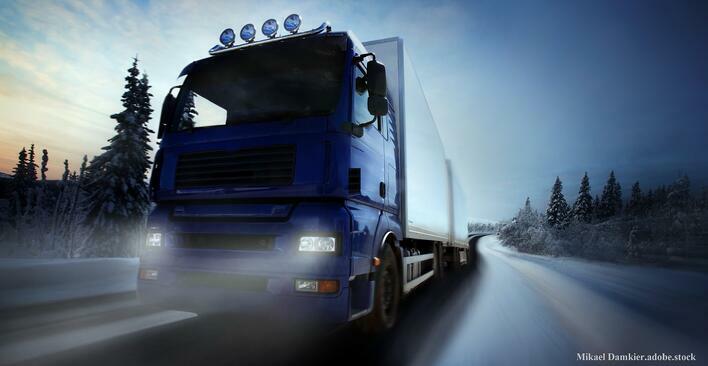 Winter is Coming - Is Your Fleet Prepared? Summer flew past, autumn draws to an end, and winter is coming. For businesses this means a new quarter, but for transportation businesses specifically, winter should be so much more than just a new quarter. As we all know, running and maintaining a fleet comes with extensive responsibility. Safety is among the key factors and considerations transportation businesses have to give attention to on a daily basis, and rightly so. Safety of your fleet is crucial, not just for your business but for the public that your fleet passes daily on the roads. This said, what are you doing to prepare your fleet for winter, ensuring all applicable checks and operational factors are in place? Be done with all the paper records that accounts for your fleet's safety checks and compliance. OBS Logistics have created a paperless process of keeping your fleet safe and in compliance with Driver & Vehicle Standards Agency requirements. You can now record all the safety checking information the law requires before starting your journey, through a straightforward App on android devices called CALIDUS VEhub. Winter in the United Kingdom, places weather related challenges for the roads and therefore creates greater risk for your fleet. It is more important than ever to have all your safety checks recorded through an accurate, fast, end to end process. If the worst were to happen and a driver was involved in an accident, information can be captured as soon as possible. CALIDUS VEhub has a full accident logging capability, including accident scene and vehicle damage photo capture. The recording format helps to ensure that all required details are fully captured. The accident report can then be sent back to the headquarters immediately for processing rather than waiting for the driver to return. CALIDUS VEhub is not just a solution for winter and times of increased risk; the electronic process is a highly effective tool all year round and not limited to safety checks. You can add a barcode scanning App to your VEhub and it becomes a rapid data capture tool; attach barcode labels to your fleet assets so your team can efficiently scan them, allowing VEhub to log the precise location and time, creating a fast accurate and simple tracking process.